Kept my interest the entire way through and actually touches on plot points that make you want to read the manga. The whole 'dissenting from the organization' trope kind of got repetitive but it was a good way to bring humanity to the characters. The unpredictable deaths are refreshing and keep you in the mindset of the Claymores. strong female characters. So-so character development. Interesting enough to watch, not interesting enough to be really good. Lots of disposable character introductions. The story line felt hollow. It was cool to see so many female characters though. Defintely watch this, then read the manga. It's hard to review this without making allusions to Berserk. I think the biggest difference is that while Berserk is more or less a slow buildup, Claymore moves a pretty fast pace with action and lore consistent throughout. I've seen some people say the ending is lackluster but I honestly disagree. While the ending does curtail some major plot points from the manga, it is still serviceable and satisfying in it's own right. HOWEVER, if you enjoy the anime, you will need to read the manga to truly understand some incredibly important pieces of the story and the true ending. I liked it. Most of it. This is a super good action anime full of awesome fights. -There are so many awesome characters. -There are so many awesome villains that I love to hate. -The boy, Raki, is absolutely helpless and stupid. I don't have much to add to the numerous glowing reviews that have already been given by other people. Only that I'm really happy that Crunchyroll has the series now and I'm hopeful even more people will get the chance to experience this amazing anime series. Every show has it's downfalls. But Claymore has few and scattered between a story of epic proportions. 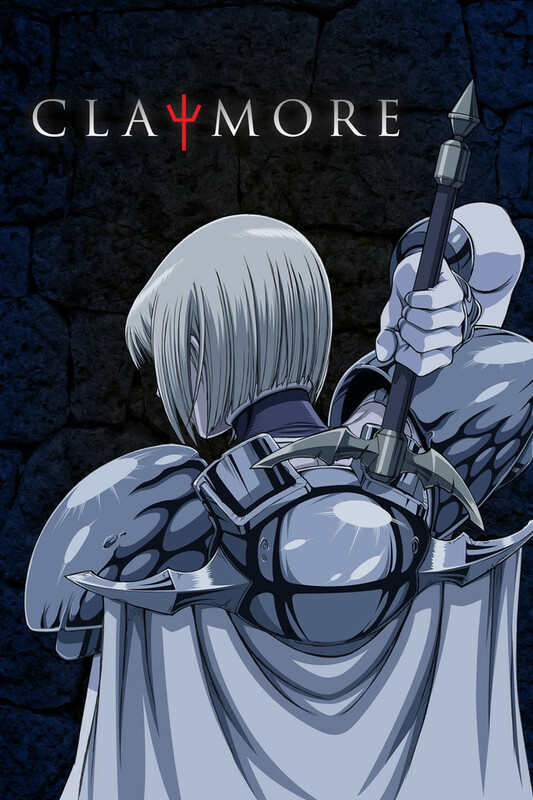 The main nitpick of Claymore, is that there is not enough of it. Characters are flushed out with full backstories, the action is a joy to watch, and the evil is external and internal throughout the story. Recommended to watch. Especially if you enjoy stories of something akin to a vampire slayer. One of my all-time favorite and still is! The depth of the story is great and interesting. The characters great! I really enjoyed the character buildup and art. Everything and I mean everything is great about it! I 100% recommend! Not to mention this is an all strong female group!